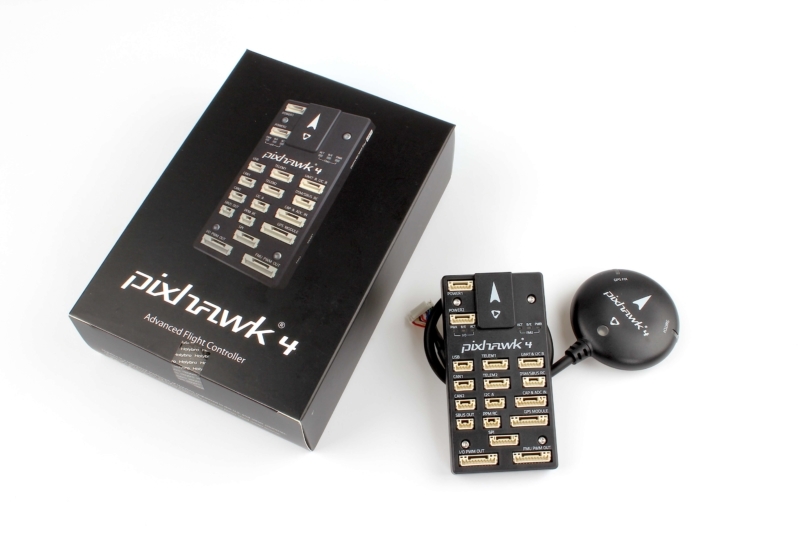 Pixhawk 4 is the first flight controller product based on the Pixhawk FMUv5 standard. Holybro and Auterion have contributed to the standard and the developer kit can now be purchased directly from Holybro, SeeedStudio, and GroupGets in plastic case and aluminum case versions. The Pixhawk standard has a rich history, and has evolved through several product generations since its inception. It is widely adopted by academic, hobby, and developer communities for its flexibility and its quality that outperforms solutions costing much more. With the input from Pixhawk developers and users, this latest update to the standard includes twice the performance and twice the memory, advanced reliability, vibration isolation, and better integration capabilities. The Pixhawk 4 is powered by an a high-performance, power-efficient STM32F7 chip with Arm® Cortex®-M7 and low-noise IMU from Bosch Sensortec. It allows developers to focus on building the best flight algorithms while maintaining confidence in precision control. The full technical specifications are described in the product datasheet available here. The autopilot supports multiple flight stacks, including PX4 and APM, and comes preinstalled with the latest PX4 v1.8 release. It powers various multi-copters, fixed-wing aerial platforms, VTOL cargo drones, and even ground based autonomous delivery robots. The applications range from remote sensing in agriculture, security and surveillance, 3D mapping, to robot based deliveries. Since the first Pixhawk based product release in 2013, this powerful open source flight controller series has been adopted by developers from around the world. Long term developers offered the following praise of Pixhawk: Armin Ambühl, CTO at Wingtra said “The clear documentation, continuous development of the software, and the helpful community make the Pixhawk the best way to fly with PX4.” and Agris Kipurs, Airdog CEO said “We adopted pixhawk since 2014. It’s the quickest and easiest way to get started and develop on top of PX4”. I am interested in purchasing Pixhawk 4 Units but i want to ask a question about Pixhawk4 PM07 120A current capability. Q # 01. What is the material of shunt resistance used in PM-07 ? Q # 02. Do the shunt resistance will carry 100A current ? Please use discuss.px4.io for your questions.